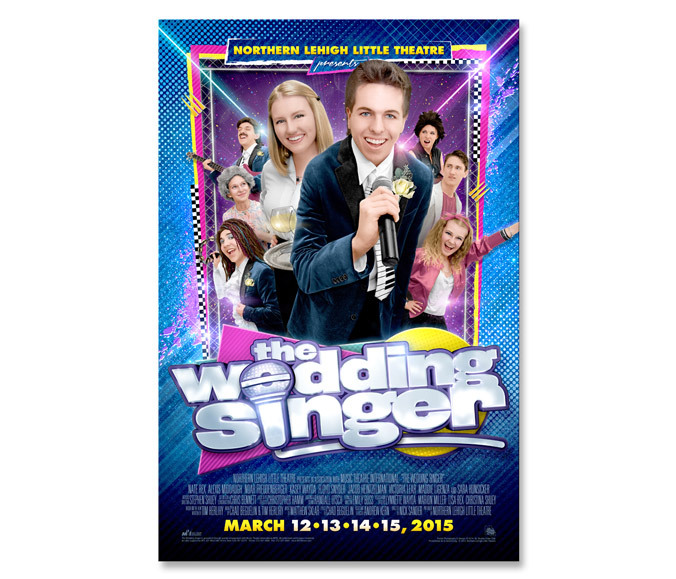 Northern Lehigh Little Theatre proudly presents The Wedding Singer, a stage adaptation of the hit 1998 film starring Adam Sandler and Drew Barrymore. Set in the year 1985, The Wedding Singer tells the story of Robbie Hart, New Jersey's favorite wedding entertainer, who is unexpectedly left at the altar by his own fiancee. The show features a high-energy 80's pop/rock soundtrack that is expected to delight and thrill audiences of all ages. 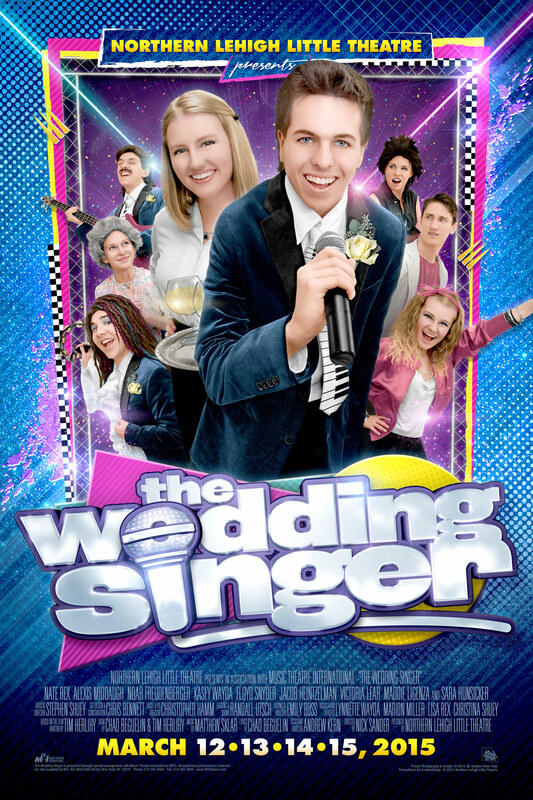 Originally performed on Broadway in 2006, The Wedding Singer musical was written by Chad Beguelin and Tim Herlihy, with music by Matthew Sklar and lyrics by Chad Beguelin. Directed by Mr. Nicholas Sander, The Wedding Singer stars Nate Rex as Robbie Hart and Alexis Middaugh as Julia Sullivan, Robbie's co-worker and eventual love interest. Robbie's bandmates include Noah Freudenberger as bass player Sammy and keyboardist George portrayed by Jacob Heintzelman, with Kasey Wayda in the role of Holly Sullivan, Julia's close friend and cousin. Rounding out the principal cast are Floyd Snyder as Glen Guglia, Maddie Ligenza as Rosie Hart, Victoria Lear as Linda, and Sara Hunsicker as Angie Sullivan. The Wedding Singer Is presented through special arrangement with Music Theatre International (MTI). All authorized performance materials are also supplied by MTI. 421 West 54th Street, New York, NY 10019; Phone: 212-541-4684; Fax: 212-397-4684. For more info on show licensing, please visit www.MTIShows.com.